CES Cru took to Facebook recently and posted this photo of them in Chapman Studios finishing their debut EP for Strange Music, simply titled 13. 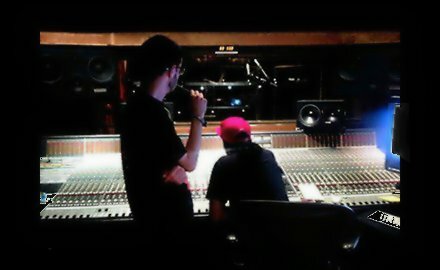 In the studio with CES Cru was Info Gates (who reportedly produced some of the EP) as well as Seven. Comments reveal a release date sometime in the fall, but nothing has been set in stone. We will be sure to keep you updated as the news comes along. Are you looking forward to 13 from CES Cru?